We are one of Europe’s leading independent relocation agents. From our Offices in Belgium and the United Kingdom, we offer a comprehensive range of services to assist both employees being transferred with their job and private individuals in moving to their new location, wherever it may be in Europe, quickly, smoothly and cost effectively. The group is owned and managed by Kathryn Andrews and John Blakeway (click on drop down menu "home" above for more personal background) who are both well known throughout the Employee Relocation Industry and together have a wealth of experience and knowledge about relocation. Kathryn moved to Belgium in 1990 as an Expat herself, taking up a role in the relocation business shortly afterwards before forming ABC Relocation several years ago. This experience not only enables her to empathise with the issues of moving to a new country but also gives her an intimate and personal knowledge of living and working in Belgium. John began his career in relocation in 1992, having relocated several times throughout the UK previously. He has worked for, and held Board level positions in, some of the largest International Relocation Management Companies, specialising in developing bespoke solutions for mobility issues and providing policy and programme advice for some of the world’s leading and most demanding employers. Together they form a perfect partnership – blending both technical and practical expertise and knowledge to ensure that ALL assignees and their families can settle into their new environment comfortably, quickly and effectively. 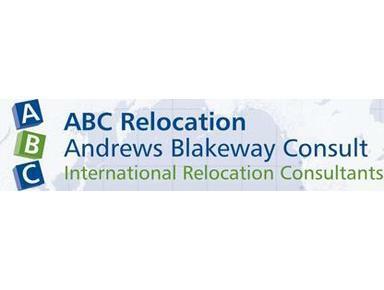 Backed by their carefully chosen multi-lingual team, trained in the skills of quality service and client care, ABC Relocation is able to focus on delivering individual support whether handling a single relocation or a group move of many employees. ABC Relocation is a member of EuRA (European Relocation Association) and is bound by their ethics and rules of conduct. The stated aim of EuRA is to spread knowledge and understanding of the issues surrounding employee mobility. Further, EuRA enhances industry performance standards by communication and education. ABC Relocation obtained the EuRA Quality Seal in 2008. The EuRA Quality Seal is an independent, externally audited quality assurance based on excellence in relocation service delivery and internationally recognised process management systems. As a member awarded with the EuRA Quality Seal, ABC Relocation demonstrates a total commitment to quality. Please spend some time looking through our site. Your comments and enquiries will be welcome and we are confident that whether you are moving personally or seeking to relocate your employees, you will be able to “Benefit From The Experience”.